On Sunday, October 9th, the Men of TAS (in lieu of our usual meeting) are going to see the new movie Denial, based on Dr. Deborah Lipstadt‘s book, “History on Trial” [Note that this particular meeting is open to everyone]. This book is about Dr. Lipstadt’s trial in the UK when the Holocaust Denier David Irving sued her for libel. I was a student of Dr. Lipstadt’s when I was at UCLA (I was the only one turning in papers printed via nroff(1) off the Diablo 1620 in the CS Department); as such, I feel it is important to see this movie and have a discussion. Note that this discussion is taking place just before the 2nd presidential debate. When reading this book, I was struck by a number of parallels between the issues raised in the trial, and this year’s election season. What parallels do you see? Is it ever right to distort facts for a particular purpose? What is the importance of fact checking, and how much room is there for the interpretation of facts? We have seen much of that this election season — from both sides — where the claim is made in the past that they supported some thing or position, and yet evidence is quickly found showing the opposite, to which the candidate provides a spin to justify their original claim. (Trump Example; Clinton Example). How is this fact checking similar to that presented in the Irving trial? Is there a distinction between proving the truth, and proving that someone is lying about the truth? When building your overall assessment of an individual and their viewpoints, which has greater import: isolated past incidents, or continual patterns of behavior? When is it right to speak up, and when is it right to stay silent in the face of denial of history? Is it right to deny history for political reasons? An example of this is the Armenian Genocide in the face of the Turks, where there has been hesitation to publicly acknowledge that genocide because of the relationship with Turkey. Does political expediency ever trump history? What is the relationship between the denial of history, and the denial of science? Does the notion of convergence of the evidence differ between history and science? How might one balance convergence of the evidence and belief? Are there any parallels between those who believe in the literal interpretation of the Bible (such as those who have built the ark museum or fight creationism) and the denial of history? What lesson does this trial teach about fighting conspiracy theories, especially those theories that include the media as part of the conspiracy? When you are part of a team effort, when is it the right thing to do to suppress your desire to do it your way and go along with the remainder of the team? This trial ended over 10 years ago, yet antisemitism remains active? In what ways do you see antisemitism today? How do you battle it? Is there antisemitism present in this year’s election (for example, this or this)? Are any of these claims similar to the claims that Irving attempted while on the stand? In the book, Dr. Lipstadt edited it to ensure that antisemitism was always referred to without the hyphen. Why do you think she did that? Currently, the repeated efforts of the supporters of BDS (Boycott, Divest, Sactions) movement against Israel are in the news? What is the relationship between anti-Zionism and antisemitism? Does the denial of history have any connection to the arguments of the anti-Zionists? There are some paragraphs in the conclusion of the book that note that various Palestinian leaders, over time, have either denied — or have at least publicly doubted — the extent of the Holocaust. Are there other instances you can recall where the reality of significant Jewish history has been denied? How has it been combated? What is the balance between remembering history and glorifying it? Contrast the attempt to remove all Confederate symbols and remembrances of actions that were insensitive to blacks (such as blackface minstral reviews) with an attempt to pretend that slavery didn’t happen and that the Civil War was for purely economic or states right reasons. Contrast that with attempts to glorify Nazi heros and eliminate any Nazi symbols or practices. Where do these fall on the level of denying history, and what is the right balance regarding remember past actions of your country or people when those actions were horrific in today’s eyes? The closing paragraph of the book is: “We must conduct an unrelenting fight against those who encourage — directly or indirectly — others to [deny history]. But, even as we fight, we must not imbue our opponents with a primordial significance. We certainly must never attribute our existence to their attacks on us or let our battle against them because our raison d’etre. And as we fight them, we must dress them — or force them to dress themselves — in the jester’s costume. Ultimately, our victory comes when, even as we defeat them, we demonstrate not only how irrational, but how absolutely pathetic, they are.” Are you aware of any deniers of history today, and are they viewed as statesmen or jesters? What does how we view such individuals say about how society has changed since the Irving trial? 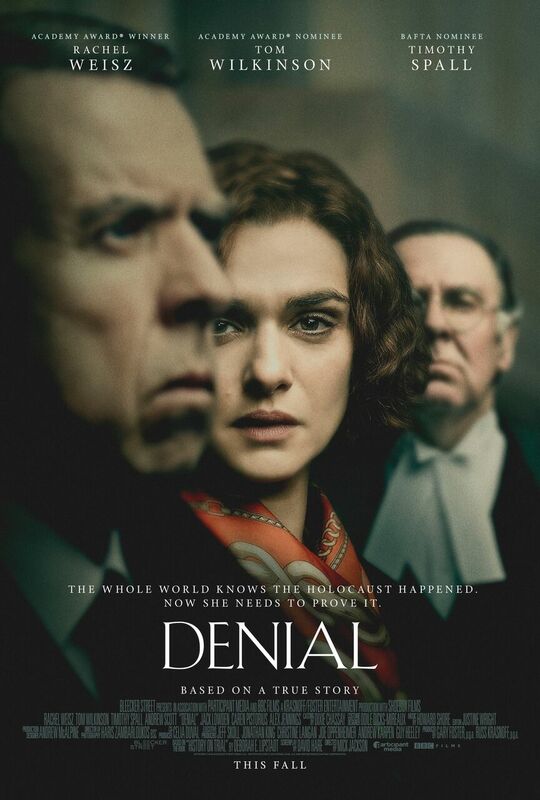 Based on the acclaimed book “Denial: Holocaust History on Trial”, DENIAL recounts Dr. Deborah Lipstadt’s (Academy Award ® winner Rachel Weisz) legal battle for historical truth against David Irving (BAFTA nominee Timothy Spall), who accused her of libel when she declared him a Holocaust denier. In the English legal system, in cases of libel, the burden of proof is on the defendant, therefore it was up to Lipstadt and her legal team, led by Richard Rampton (Academy Award® nominee Tom Wilkinson), to prove the essential truth that the Holocaust occurred. Additionally, here’s a preview of the notion of Holocaust defense in the movie, and how Dr. Lipstadt taught the lead actress to sound like a Jewish woman from Queens. That, of course, leads to the question of whether there is such a thing as the American Jewish accent, but that’s a question for another day. Tonight, I went to the Purim schpiel, and realized that I’ve got a problem. Perhaps I should explain. For the last two years, I’ve been a vice president of $mens_club, and as such I’ve been working behind the scenes to reposition the organization to emphasize our place and importance in building relationships within and with the congregation at large. I’ve tried to do that at some smaller events this year. Naturally, being active has its own rewards, … , one of which is likely getting increased leadership opportunities. In this case, that means I am likely going to have increased responsibility to promote the group to members of the congregation. Here’s where the problem comes in. Although I may seem outgoing, I’m really only outgoing with a supporting Powerpoint presentation :-). By that, I mean that my normal nature is to sit back quietly and do my job, and help make sure the event is a success. I can get up and speak when I know the subject well (which is what preparing the Powerpoint does for me). Whereas my father had the personality to go up to strangers and introduce himself and become friends, doing that cold is a very very difficult mountain for me to climb (if I know something about the person to start the conversion, it is much much easier). Tonight I thought I might give it a try. I thought I would have the gumption to go up to congregational men — who were there with their families and are precisely the men we need to draw into the organization — and introduce myself to them. I thought I would be able to sell $mens_club to them. But I couldn’t even get started up the cliff. I realized I’m the engineer, not the salesman. I don’t have that salesman persona. I’ll note this isn’t new. I never was one to go out for drama classes or run for offices. I never sold cookies or candy bars for schools successfully. At Halloween, I was never the one creating the superinventive costume — I was either behind the door with the sound effects, or wearing a costume that made me look like everyone else. At camp, I wasn’t the one in drama or the one being out in front; I was in arts & crafts and squarely in the middle. I was fine being a committee chair or running an activity, but never the outgoing face. Even in the UCLA Computer Club, when we played Superhero 2044, my character was “Mr. Cellophane” — the one no-one every noticed because he blended in. Realizing this is the first step to solving the problem. Practice and acting “as if” will be a second step. I’ve viewing this opportunity in the organization as a chance to improve myself; to gain a skillset that will prove me useful. It also making me realize that I need to think about doing what any good organizational head would do: if you don’t have a skill your organization needs, you find someone who can excel at that skill to make your organization complete. You bring them on board, and while they are exercising that skill, learn from them how to do it better. That’s one reason I’m writing this post. To those who read this who are the “born salesmen” (or should I say “born salescritters”): what tips do you have, and how do I learn the skill. If you ask most congregations, they’ll tell you they are the best kept secret in $location. In fact, they shout to the world that they are the best kept secret (as well as being the most friendly, ummm, haimish, congregations around). They think that shouting they are a secret will overcome the fact that nobody knows what they are doing. The truth, of course, is that most congregations fail horribly on publicity (and a large part of that is exacerbated by the Internet, which has gotten rid of flyers and made newspaper ads much less effective). So, to that end, I’d like to do my part over lunch by publicizing some Jewish stuff of interest on my little blog, which most people don’t read anyway (at least judging by the comments). Relationships With the Community. I’ve been talking for a while about $mens_club; here’s an opportunity to meet us. We’re doing a special $mens_club Shabbat service, with a dinner and short presentation beforehand, and the community is invited. The dinner is at 6:15pm and is a Chinese New Years celebration menu (don’t ask me, I didn’t pick the menu) done by one of the congregation’s excellent caterers — in fact, the caterer that did my daughter’s Bat Mitzvah (the caterer is also active in another local Brotherhood, which I think is cool and a way to build a relationship between the two groups). After dinner, there will be a short presentation by moi on $mens_club, followed by the service which will be performed conducted by members of $mens_club. Visit here to sign up for the dinner. The Secret Rabbi. One of the members of $mens_club alerted me to this interesting post in the Jewish Journal with a wish list for the upcoming year. One suggestion was for the great Rabbi exchange: “So, let’s pick one Shabbat a year and call it the Great Exchange — a day when every rabbi in town gets to speak in a different shul.”. Secrets and fears are the main reason this won’t happen. Consider: Everyone is afraid that if their great rabbi speaks in another community, that community will discover him and hire him away. The other community is afraid that if another rabbi speaks, then the people will make like Moses and “exodus” to that Rabbi’s congregation. Therefore, having another rabbi speak only happens when the rabbi lives far enough away for people to not run over there. In doing so, people are keeping their greatest weapon (for good or evil — you decide) secret. They are also demonstrating a fear that their relationships aren’t strong enough. Banks build sticky relationship with customers by entwining themselves throughout their daily lives. Modern congregations are so detached this never happens. We need to make it happen so that we can be confident when we work with other congregations near us. Wednesday night, I attended a calendaring meeting and a board meeting at $current_congregation. I was there at the request of the President of $mens_club, as the bum was off vacationing in Cancun. The things I do for my friends :-). More seriously, I did attend the board meeting, and a few things about it have been sticking in my head… and the only way to get them out of there is to share. Hence, this post. I’ve written in the past about how I would like to have $mens_club be a role model in how to do welcoming right. It appears that one of the themes of the board this year is similar — they are trying to establish relationships along the lines of those talked about by Rabbi Wolfson, and they were all energized to do this from the recent UAHC URJ Biennial. We did an exercise of doing elevator speeches about selling the congregation to someone you meet, and that word “welcoming” was constantly there. People were sharing their wonderful experiences about making friends, kids in the religious school, etc. I even shared about $mens_club. Something was off. I noticed it because I’m not a member of the board. This was my first meeting there. And other than the one person I know from Sisterhood who I sat next to (and who did calendaring with me), no other board member came over and greeted the new person. Translation: Although they talked being welcoming, they didn’t follow through with the stranger in their midst. This is the problem: we can all say we are welcoming, but it takes actual effort to break away from your friends and greet someone you don’t know. They had the opportunity to establish a new relationship, and potentially draw in a new volunteer (c’mon, if I’m stupid enough to attend a temple board meeting in someone’s absence, I can be talked into anything)… and they didn’t follow through. This is yet another example of just not seeing the little things that aren’t welcoming. Welcoming is more than a nametag and a hello: it is an attitude shift and (in many ways) a paradigm shift from the comfortable cliques. I was also thinking, during the elevator pitches, about the pitches themselves. As someone who hasn’t had the positive experiences (other than with $mens_club), they weren’t resonating. Consider: someone who hadn’t seen the warmth was just hearing words about how warm the place was. What is needed (and I couldn’t put it in words at the time) is something that goes beyond words: doing something that demonstrates the warmth. Invitations. Personal connections. Now there was some of that in the speeches, but perhaps I’m too much of the colder computer scientist to always pick up on it. However (and I think this is important), when giving such speeches, one needs to be aware that you might be talking to someone like me. What do I want to hear? Tell me why this isn’t the typical Reform congregation — why this isn’t a marble house of plastic people. I had a second observation on the meeting itself. The meeting consisted mostly of reports — there were almost no action items for the Board to act upon and discuss. Some of these reports went on longish, perhaps too longish. I’ve learned from my ACSAC meetings that meetings work best when condensed down to the actions that require the entire board to take, or short announcements that the entire Board needs to hear regarding upcoming due-dates. I didn’t get that sense here. Further, there was the sense of exclusion again. When there were committee reports, there was extensive attention paid to the $youth_group representative, who was new. Other groups that might have had items to report (I shyly raise my hand) were never given the opportunity. Why one group over the others? In short: more focus was needed — reports should be (a) from all committees and auxiliaries, and (b) highlighting upcoming actions and activities within a 60 day period (which is significant for publicity purposes). The focus should not be selecting particular groups to report, and then cutting off when the time limit is reached. Meetings are for the efficient conveying of information and the taking of necessary actions. Meetings are the forum for cross-committee interactions, or extra-committee or higher-level decisions. In particular, upcoming events should be discussed to ensure that there aren’t surprise impacts, and so that everyone can support and discuss them. Will this scare me off of volunteering again. Probably not. This was a typical temple board meeting — I’ve been to my share. It only means that work of being the role model is even more important. For the past umpteen years, when I go to High Holyday services, I bring additional reading with me. No, it’s not a paperback novel. It is companion books like “Gates of Understanding 2“, S.Y. Agnon’s “Days of Awe“, the Pirke Avot. Gates of Understanding 2 is particularly interesting, as it is “A religious commentary to help High Holy Days worshipers unlock the message behind the liturgy. 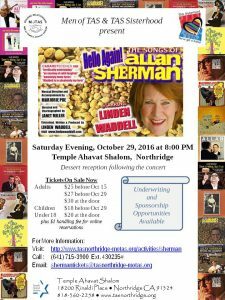 Covers the history and tradition of the prayers, music in the service, synagogue poetry, the role of God, sin and repentance and much more. Also includes comprehensive notes to Gates of Repentance and a thorough index.” In particular GoU2 describes how this particular machzor (prayerbook) came to be in its present form — what was included, what wasn’t, and why. This was highlighted for me last night when reading the history behind Kol Nidre, and its inclusion — or non-inclusion — in the Reform prayerbook. Kol Nidre is a mystical prayer dating back to the 12th century in Germany that nullifies vows made in anger or in haste. It was controversial for Reform because it implied to the larger community that Jews could not be trusted with their vows. So controversial was this discussion that in 1949 it was included in the first printing of Union Prayer Book (UPB) II, and then removed. Just that page was replaced with a double spaced prayer, the hebrew words for “Kol Nidre”, and in small type “The Kol Nidre Chant”. Even today an exact translation of the prayer in English is not in the prayerbook. So today at services I brought with me the usual GOU2, but also a collection of older High Holyday Prayerbooks: UPB II, the Hillel prayerbook “On Wings of Awe”, and two prayerbooks produced by Temple Emet in the early 1980s. As we went through the service, I discovered that the current prayerbook was drawn from hither and yon (for example, Unetaneh Tokef was only in the YK Afternoon Service in UPBII), and many things were not translated the same. So why am I telling you this? Any prayerbook — any service — is a political compromise. What you see on the page is the product of committees wrangling about what should be in or out to express a particular dogma or political point. Essentially, this means that you can’t pray wrong. If you don’t say the words, that’s OK. If you omit a particular prayer, that’s OK. So what do you do? Again, the answer is in the prayerbook. The Torah portion from Deut. 30 (at least for Reform; traditional uses Lev. 18) emphasizes the need to make the right choice. The Haftorah, from Isaiah, does similar. Actions speak louder than words. Don’t just mouth the political compromise words about correcting failures. Change how you act and you behave. Don’t believe that sitting in a building twice a year will do it for you. Work to improve every day.